Capital One has become the first US bank to enable NFC payment capability within its own mobile app to allow customers to pay at any contactless terminal using their mobile device. The service makes use of the MasterCard Digital Enablement Service (MDES) and Visa Token Service (VTS) platforms and works on phones running Android 4.4 or higher. 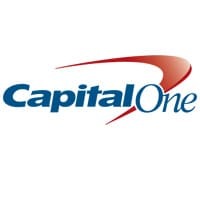 The service is believed to use host card emulation (HCE) but NFC World has not yet received confirmation from Capital One. “This mobile payments solution comes as an update to the Capital One Wallet app, which is designed to help customers stay on top of their spending and get the most from their credit card rewards,” the financial institution says. “Capital One customers are able to use their credit and debit cards directly from their phones to make contactless payments for purchases at many of their favourite retailers. “Besides payments, the Capital One Wallet app offers additional valuable features that help customers manage their spending, including real-time notifications for all transactions, instant rewards redemption options and easy access to balance and transaction history,” Capital One adds. “In the US, consumers now have more options than ever to pay with mobile devices at the POS — whether it is in a taxi, store, coffee shop or at the gas station,” adds Jim McCarthy, executive vice president of innovation and strategic partnerships at Visa.